My food cravings come in seasons – there was a period where all I wanted to eat was banana leaf rice. Then I moved on to the Korean food phase, which didn’t last very long. 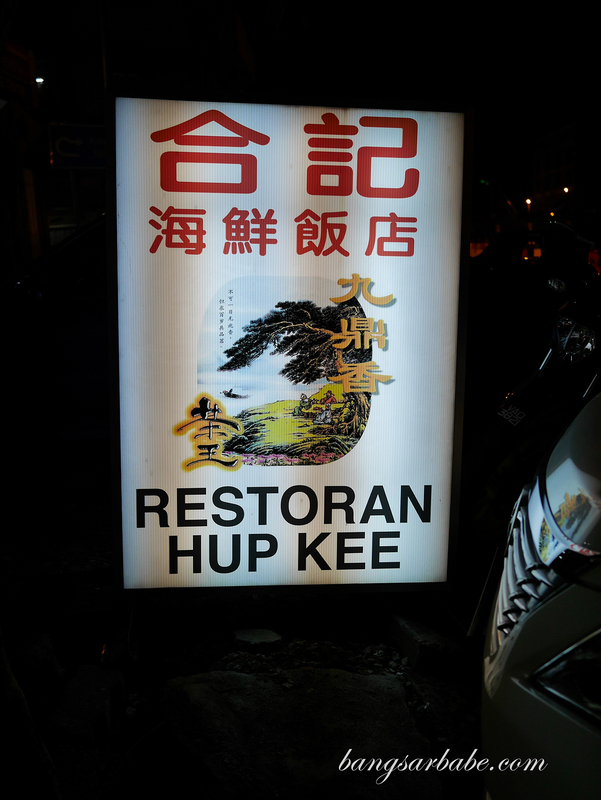 Lately, it’s Chinese style cooking and I recently discovered a good tai chow restaurant in Jalan Ipoh called Hup Kee. 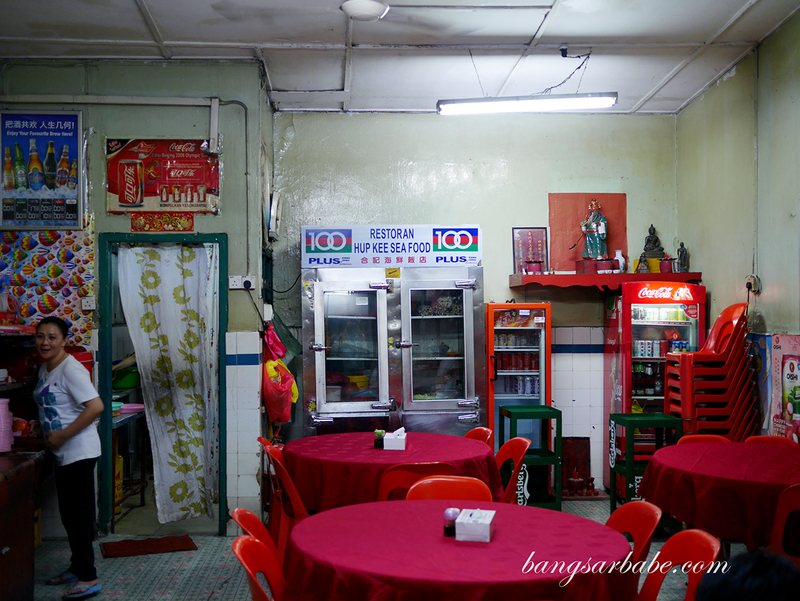 Hup Kee has been around for many years and according to my mother in-law, it is the oldest Chinese restaurant in Jalan Ipoh. She dines there almost every weekend with her friends, and often rave about the food they have. 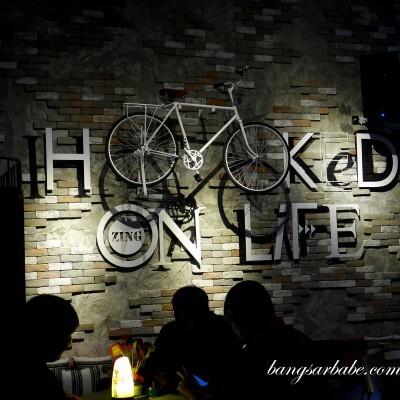 Jien and I joined her for dinner recently and the food was indeed, delicious. It’s the kind of cooking you’d look for when you’re missing your mum or grandmother’s cooking, but tastier. Popular items include the assam fish, prawns with yam, spinach soup, sweet and sour pork, house special tofu and also kerabu paku pakis. I’ve had people commenting on my choice of Chinese food – where I tend to favour “cheaper” dishes over luxe ones. In a way, it’s true as I don’t see why Chinese cooking needs to have abalone and sharks fin to taste good, the latter is unethical so I don’t condone it. 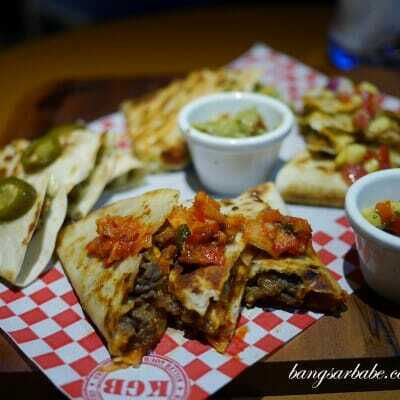 Instead, I feel it’s the chef’s skill that determines if the food is good or not. 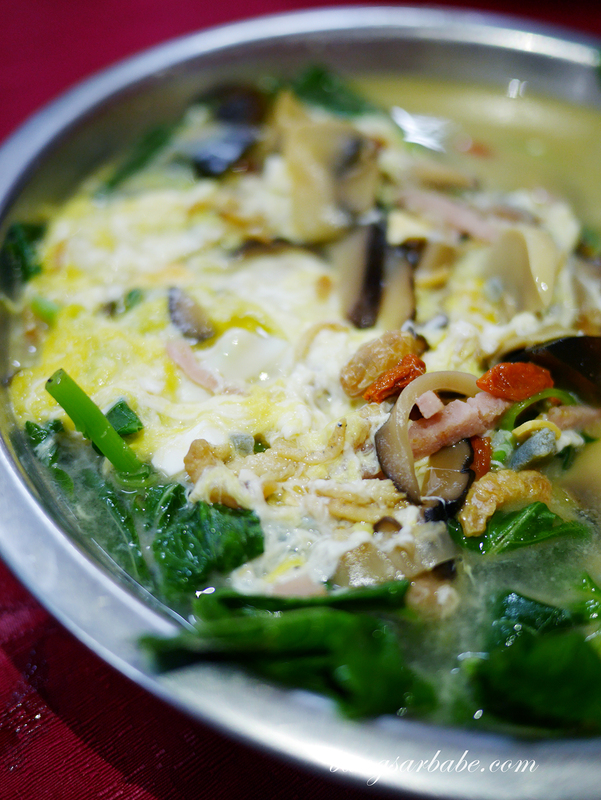 Who’s to say a humble dish like spinach soup won’t taste good? Hup Kee’s version (RM13) is by far the best I’ve eaten. 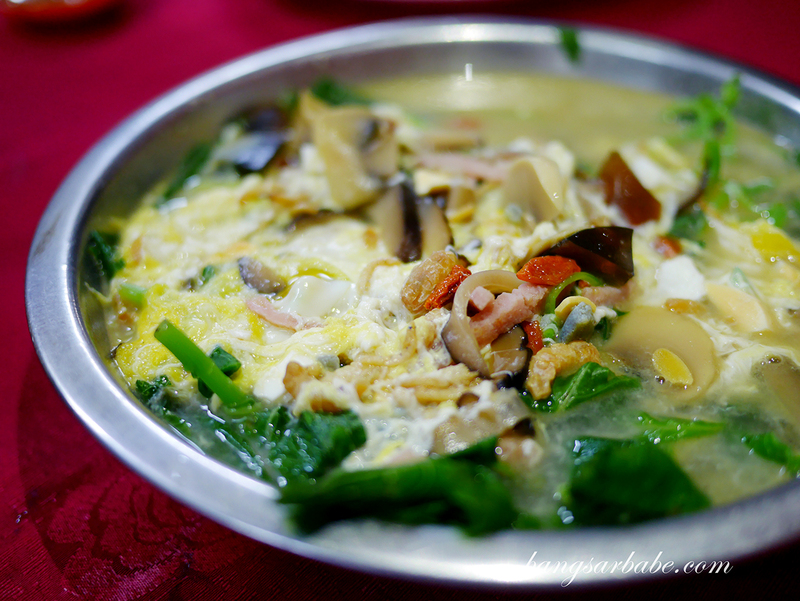 It comes with chicken egg, century egg and salted egg for flavour and richness. 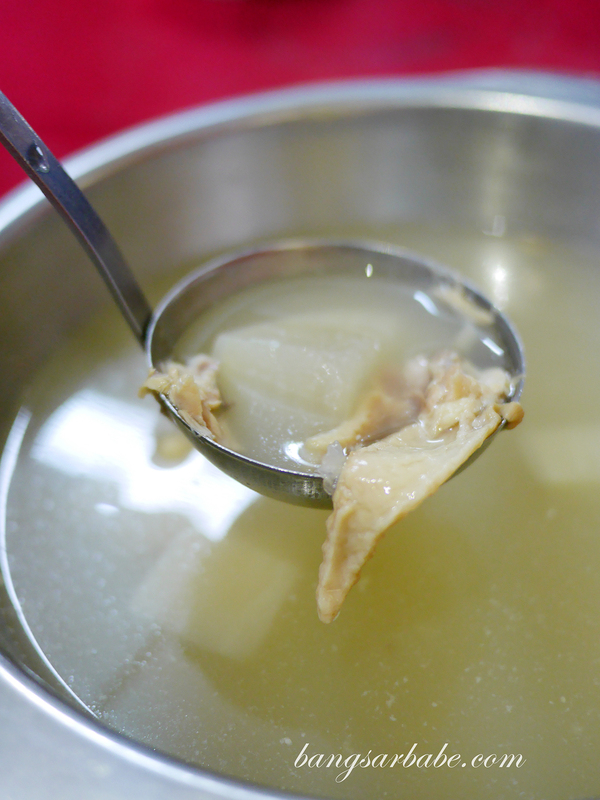 Even the broth is sweet and packed with flavour from the spinach and ikan bilis stock. 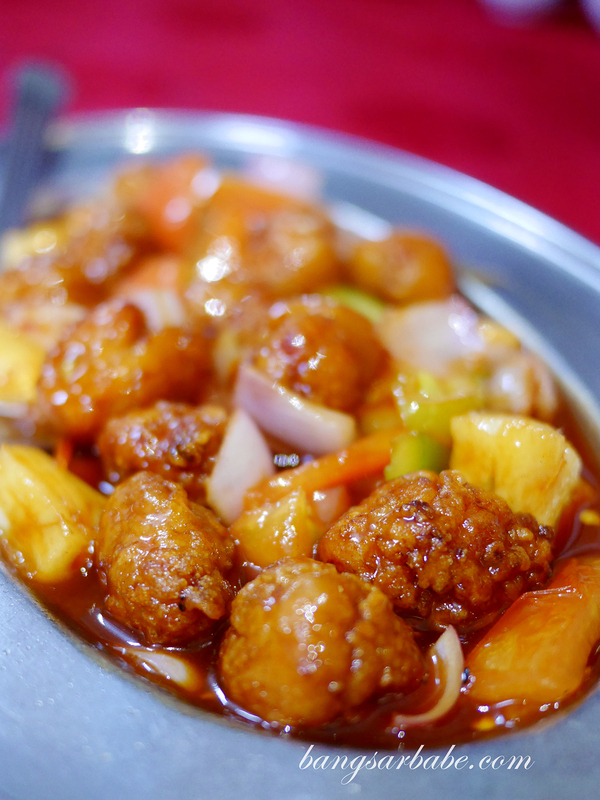 The sweet and sour pork (RM15) is worth a mention as well, for instead of pork cubes or slices, Hup Kee serves them in the form of round balls with filling at the centre. 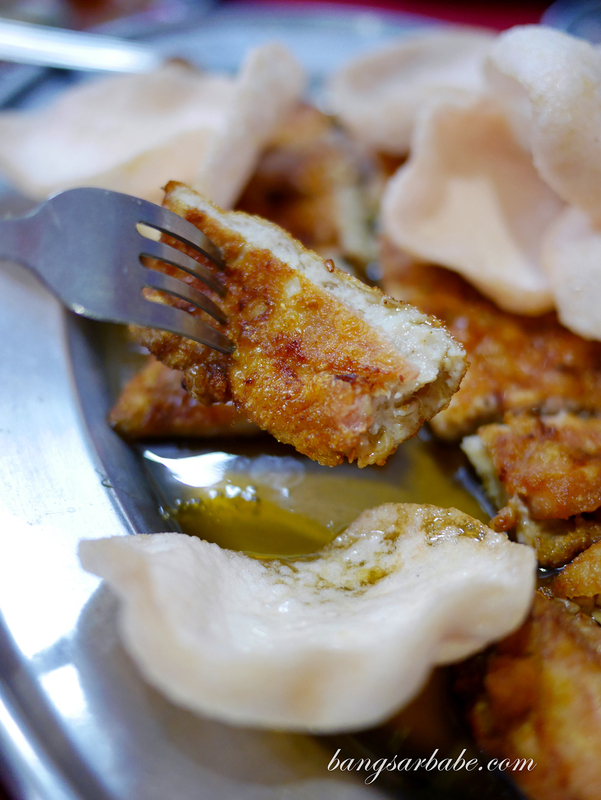 The edges are crispy and the meat is tender, plus you get a surprise at the centre – I reckon it’s a mixture of pork and salted fish. 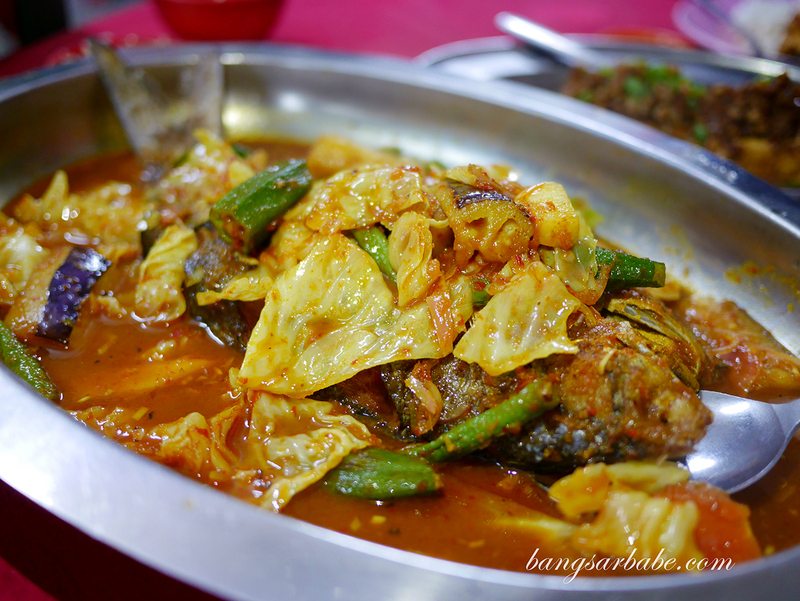 Prawns with yam (RM28) is a favourite of my in-laws, who would order this without fail every time they are there. 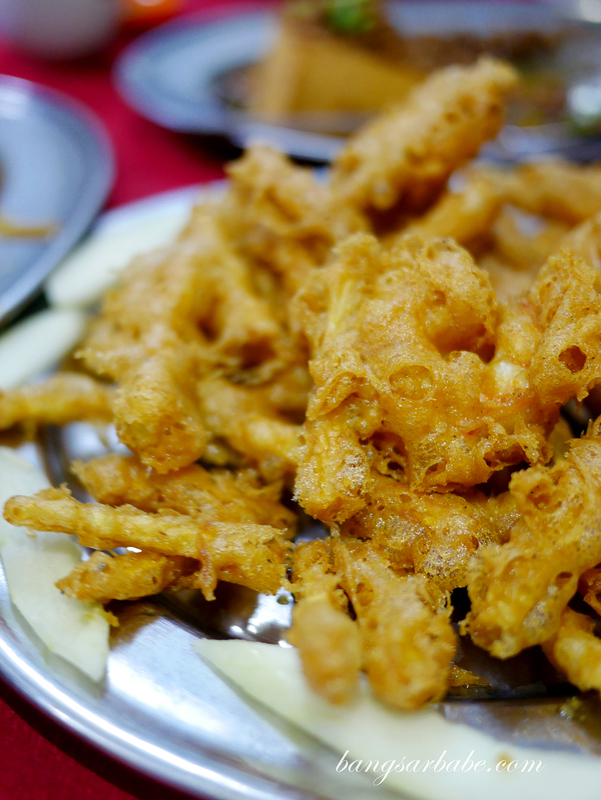 It’s an old-school dish where the prawns and yam sticks are lightly seasoned, battered and deep-fried till golden brown. This comes with a side of chilli sauce for dipping. 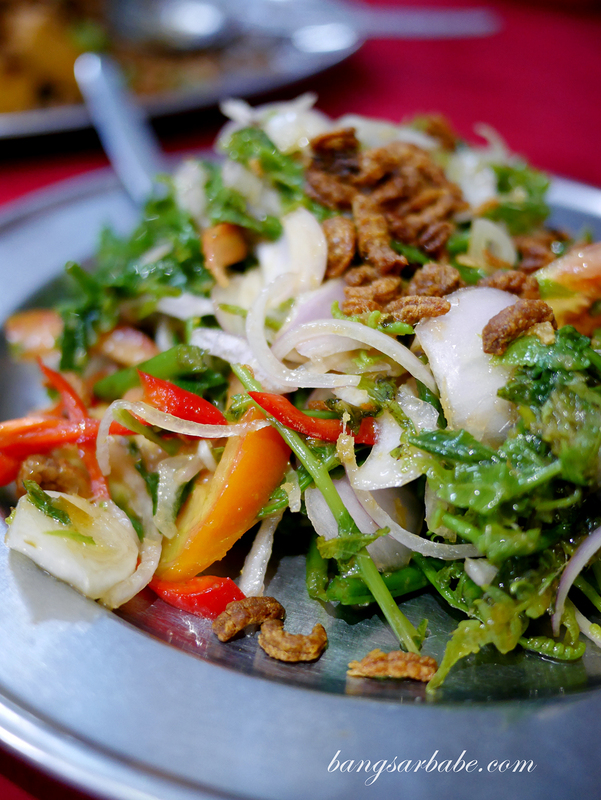 I found the Kerabu Paku Pakis (RM16) refreshing – served cold, the vegetables were crunchy with a good balance of sweet, tangy and spicy notes. 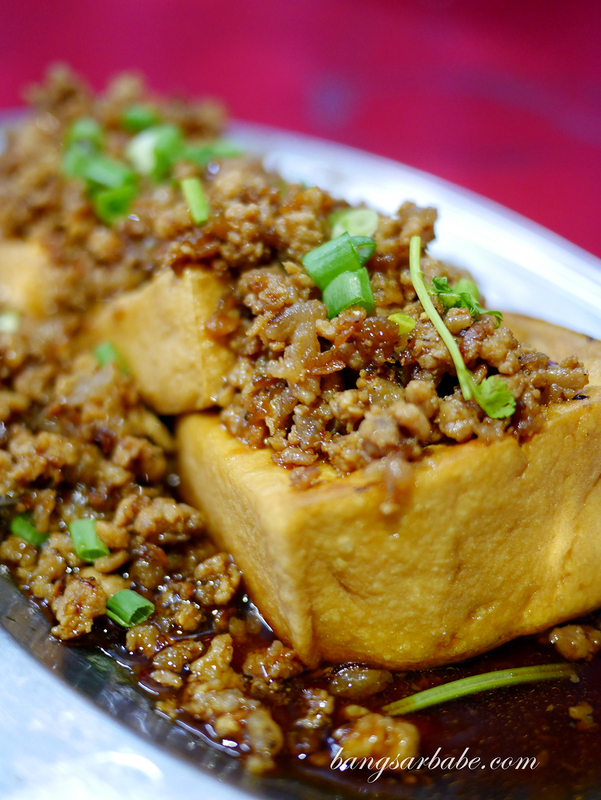 Also good was the house special tofu (RM10 – small, 12 – medium) which comes topped with plenty of minced pork and preserved vegetables for texture and umami. 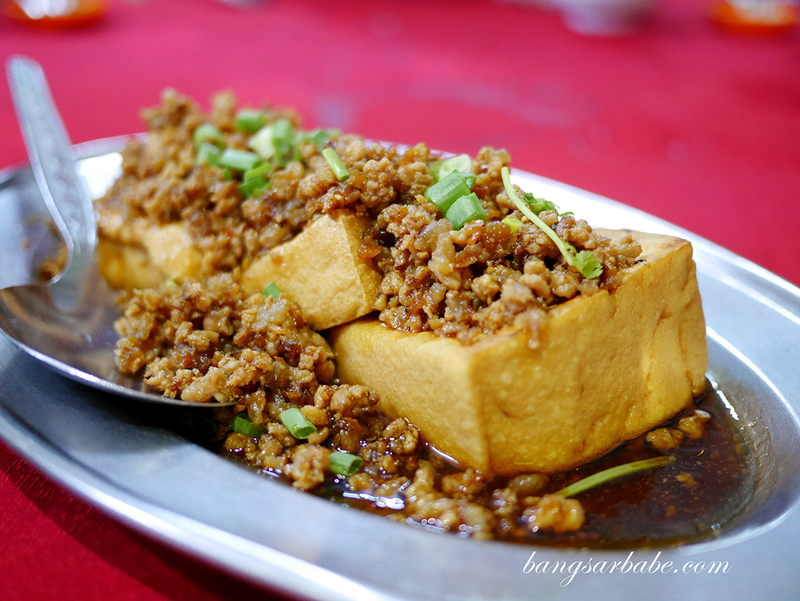 The tofu was firm yet soft to bite, and the edges were crisp from the deep-frying process. Perfect with white rice, this one. During our first visit with the in-laws, we tried the roast chicken with prawn paste (百花鸡) and I thought it was done quite well. I still prefer the one at Zheng Ji but the version at Hup Kee (RM39) is commendable and more affordable. 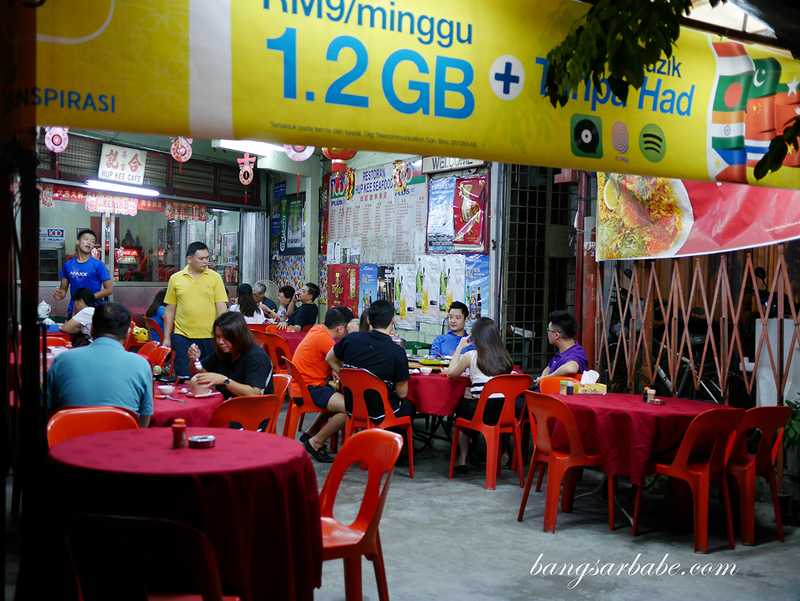 Jien and I visited them again to try the Assam Fish (RM50 – mah yau) and also the wild boar curry (RM15), both very good in their own right. 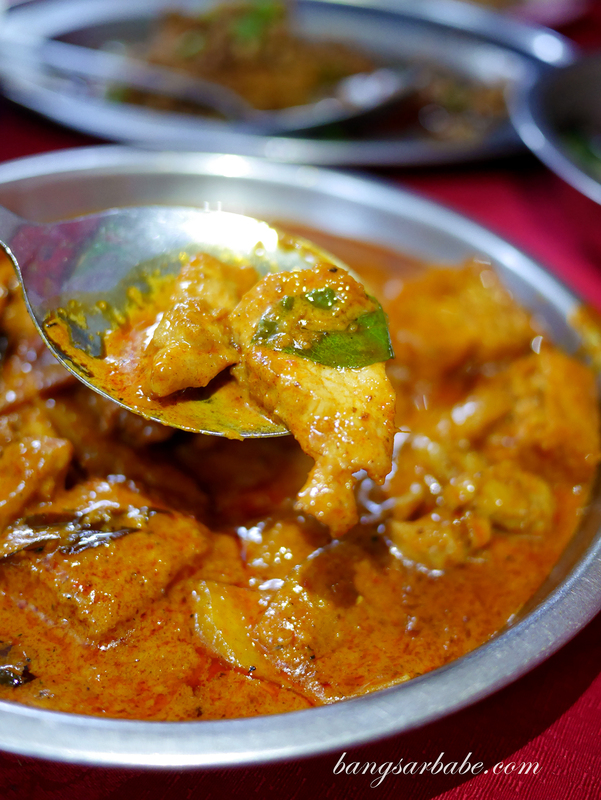 The curry was thick and robust, without being over cloying and the wild boar slices were tender enough and well-seasoned. 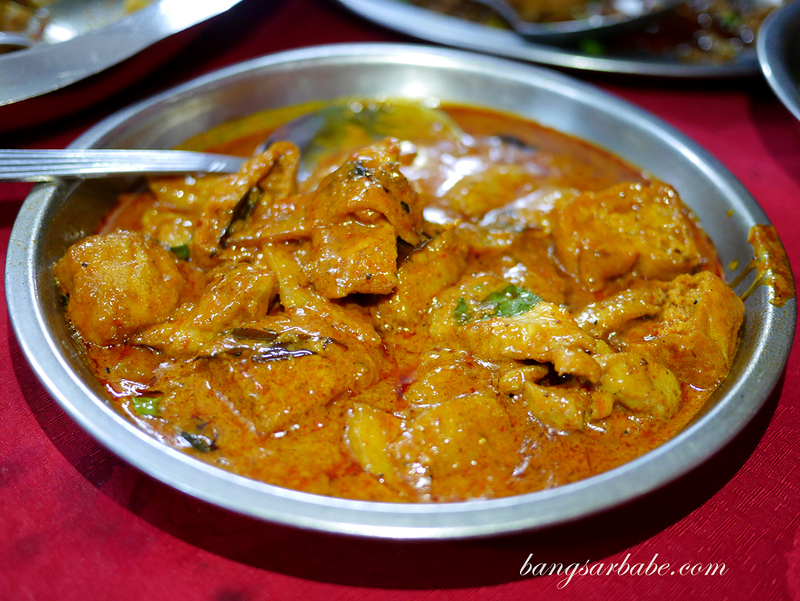 I highly recommend this if you love wild boar curry. 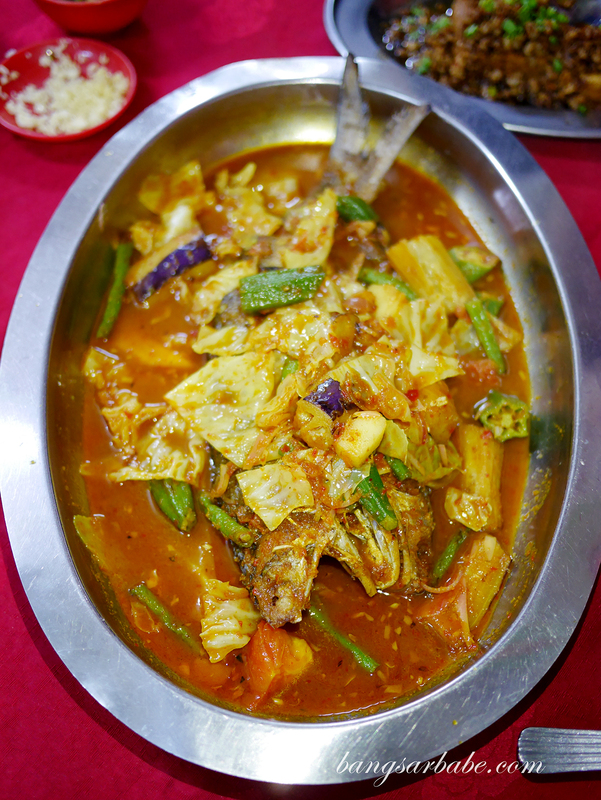 The assam fish comes with two fish options – pomfret and mah yau (kurau). Since it was just the two of us, the lady boss recommended half a mah yau which was nicely done. The fish was deep-fried till crispy (even the bones) and I liked how the assam gravy had a good balance of tangy, spicy, sweet and savoury notes. 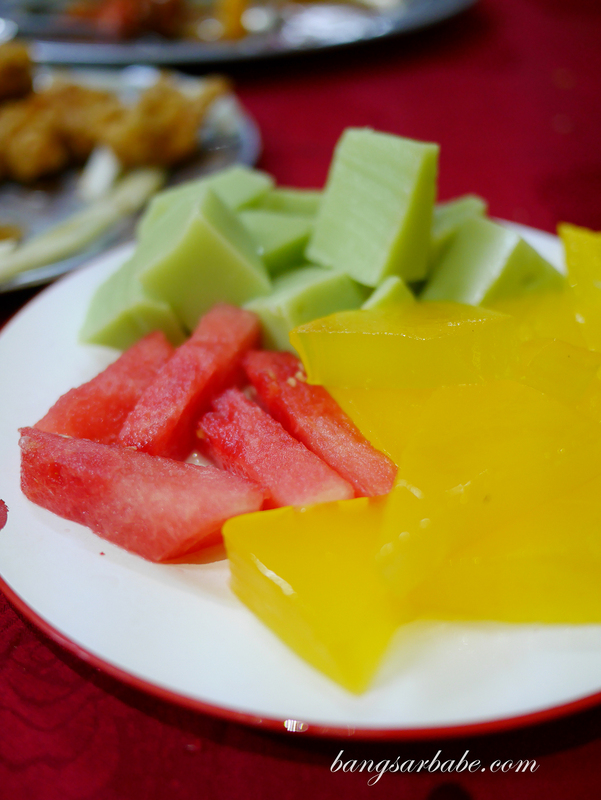 Many places do it super sour or super sweet, but Hup Kee’s version was just right. 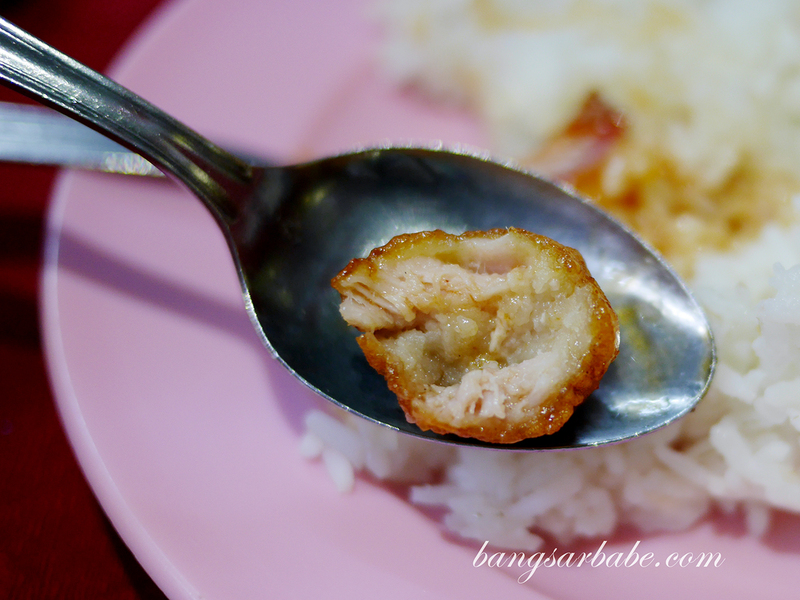 Verdict: Tasty and affordable tai chow dishes. Definitely a gem!